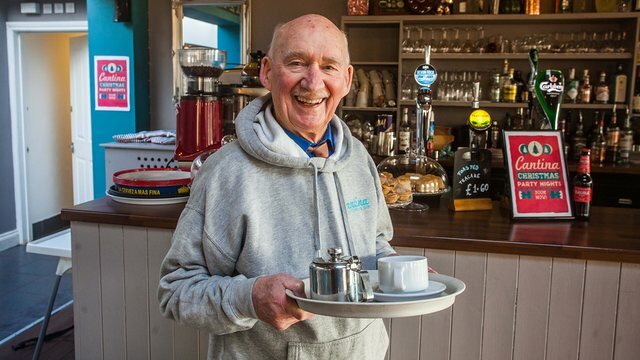 (by Alexandra Topping, The Guardian, 12/1/16) LONDON — An 89-year-old army veteran who made national headlines in Britain with a newspaper ad seeking work has started his new job. The Cantina Kitchen & Bar in the seaside town of Paignton in southwestern England announced on its Facebook page that Joe Bartley was starting work Sunday. 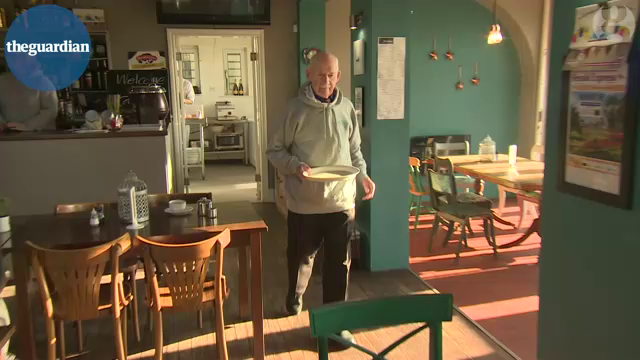 The local cafe made him an offer and the Herald Express newspaper posted a video of Bartley walking in to applause. (by Elizabeth Weise and Doyle Rice , USA Today, 12/4/16) HAWAII – Another foot of snow could fall Sunday on Hawaii’s highest mountain peaks, on top of the 2 feet already dumped there since Thursday, the National Weather Service said. 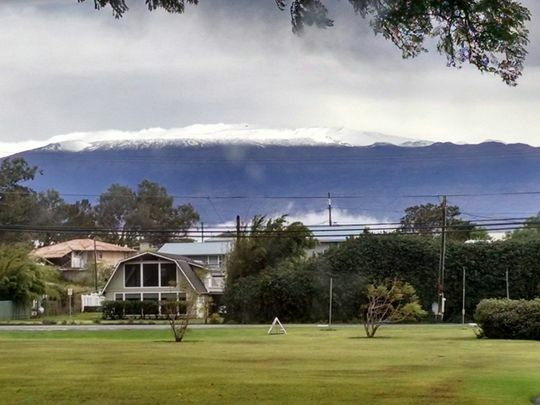 The summits of Mauna Loa and Mauna Kea on the Big Island remain under a winter through Monday morning. Heavy snow and howling winds could reduce visibility to below a quarter-mile at times. The rest of the island — and all of Hawaii — were under a flash flood watch Sunday with heavy showers and thunderstorms in the forecast. “Heavier downpours and thunderstorms could cause streams to quickly overflow their banks, leading to flash flooding,” the weather service said. Despite the rain, temperatures will be typically mild throughout the rest of Hawaii, with a high near 80 degrees in Honolulu Sunday and Monday. Snow on Hawaii’s mountain peaks is not uncommon in the colder months because they are nearly 14,000 feet high. Mauna Kea has a sub-Arctic climate, the weather service said. “As long as we have deep enough clouds to support ice crystals, and when you have cold enough temperatures at the summit level, you can get snowfall,” said Matthew Foster, a staff meteorologist with the weather service in Honolulu. Mauna Loa and its sister peak of Mauna Kea are both volcanos. Mauna Kea is the highest point in the state. “We’ll probably see three to five snow events a year during the cold season. Some years we might not get any, some years we might get more,” said Foster. The only other area of Hawaii that gets snow with any regularity is the Haleakalā volcano on Maui, which at about 10,000 feet gets snow once every five years or so, he said. The coldest temperature ever recorded in Hawaii was 12 degrees on Mauna Kea on May 17, 1979, the weather service said.